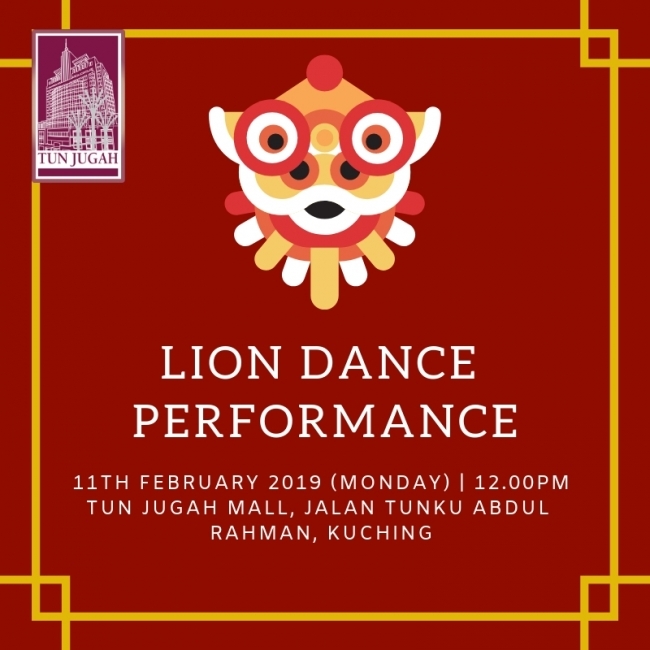 Come and see our Lion Dance Performance this coming 11th February 2019 (Monday) at 12.00pm, Level 1 Tun Jugah Mall, Jalan Tunku Abdul Rahman, Kuching. Join us as we celebrate culture and tradition on this auspicious occasion! Gong XI Fa Cai!